Agriculture and Rural Development (ARD) is one of the Subject in NABARD Grade A Exam 2019. 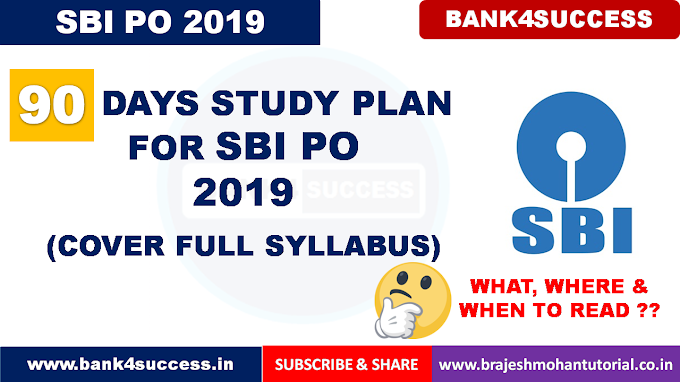 Here on this Page we are sharing you ARD Syllabus 2019, ARD Books and ARD Previous Year Question Papers PDF. Agriculture and Rural Development (ARD) in NABARD Grade A Exam 2019 and NABARD Grade B Exam 2019 focuses on Agriculture as well as Rural Development as whole in India. Water Resource: Irrigation Management: types of irrigation, sources of irrigation, crop-water requirement, command area development, water conservation techniques, micro-irrigation, irrigation pumps, major, medium and minor irrigation. Animal Husbandry: Farm animals and their role in Indian economy, Animal husbandry methods in India, common terms pertaining to different species of livestock, Utility classification of breeds of cattle. Introduction to common feeds and fodders, their classification and utility. Introduction to poultry industry in India (past, present and future status), Common terms pertaining to poultry production and management. Concept of mixed farming and its relevance to socio-economic conditions of farmers in India. Complementary and obligatory nature of livestock and poultry production with that of agricultural farming. Fisheries: Fisheries resources, management and exploitation - freshwater, brackish water and marine; Aquaculture- Inland and marine; biotechnology; post-harvest technology. Importance of fisheries in India. Common terms pertaining to fish production. Agriculture Extensions: Its importance and role, methods of evaluation of extension programmes, Role of Krishi Vigyan Kendra (KVK) in dissemination of Agricultural technologies. Plantation & Horticulture: Definition, meaning and its branches. Agronomic practices and production technology of various plantation and horticulture crops. Post-harvest management, value and supply chain management of Plantation and Horticulture crops. Forestry: Basic concepts of Forest and Forestry. Principles of silviculture, forest mensuration, forest management and forest economics. Concepts of social forestry, agroforestry, joint forest management. Forest policy and legislation in India, India State of Forest Report 2015. Recent developments under Ministry of Environment, Forest and Climate Change. Farm and Agri Engineering : Farm Machinery and Power, Sources of power on the farm- human, animal, mechanical, electrical, wind, solar and biomass, bio fuels, water harvesting structures, farm ponds, watershed management, Agro Processing, Controlled and modified storage, perishable food storage, godowns, bins and grain silos. Ecology and Climate Change: Ecology and its relevance to man, natural resources, their sustainable management and conservation. Causes of climate change, Greenhouse Gases (GHG), major GHG emitting countries, climate analysis, distinguish between adaptation and mitigation, climate change impact to agriculture and rural livelihood, carbon credit, IPCC, UNFCCC, CoP meetings, funding mechanisms for climate change projects, initiatives by Govt of India, NAPCC, SAPCC, INDC. Present Scenario of Indian Agriculture and Allied activities : recent trends, major challenges in agriculture measures to enhance viability of agriculture. Factors of Production in agriculture; Agricultural Finance and Marketing; Impact of Globalization on Indian Agriculture and issues of Food Security; Concept and Types of Farm Management. Rural Development: Concept of Rural Area, Structure of the Indian Rural Economy Importance and role of the rural sector in India- Economic, Social and Demographic Characteristics of the Indian rural economy, causes of Rural Backwardness.